This A4 poster has been printed on high quality Parchment paper and has been Designed by ~Moon Goddess Garden~ from our own Book of Shadows. It has a Pentacle design as a background with the Four Elements framing this delightful and empowering chant! 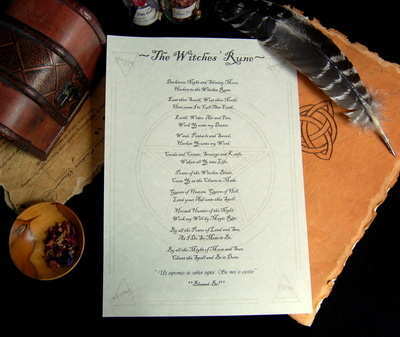 It would make a beautiful addition to your Wiccan items and your own Book of Shadows.